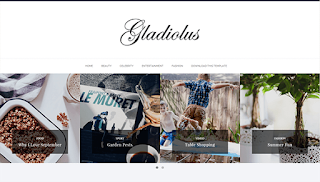 Gladiolus Minimal Blogger Template is a minimal blogger templates in clean and bold Design. It’s perfect for any personal blogger template. It follows the trendy design with a combination of pure elegance. With Gladiolus you get right to the point, presenting your content in a clean and minimal way.